Teachers know that students learn more quickly and remember more information when the subject matter relates to them personally. The act of doing makes learning extremely personal. As Sir Richard Branson says, “You don't learn to walk by following rules. 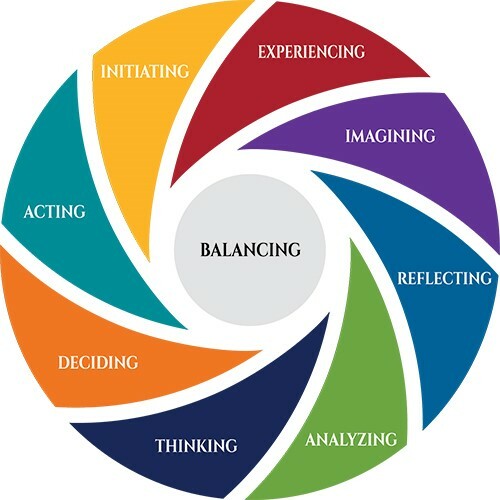 You learn by doing, and by falling over.” The process of experiential learning involves both self-initiative and self-assessment, as well as hands-on activity. Experiences are structured to require the student to take initiative, make decisions and be accountable for results. Throughout the experiential learning process, the student is actively engaged in asking questions, investigating, experimenting, being curious, solving problems, assuming responsibility, being creative and constructing meaning. This involvement produces a perception that the learning task is authentic and spontaneous opportunities for learning are encouraged. The students explore and build their own values, so the results of the learning process are personal. The teacher’s primary roles include setting suitable experiences, posing problems, setting boundaries, supporting students, insuring physical and emotional safety, and facilitating the learning process. In this way, in the learning environment relationships are developed and nurtured: student to self, student to others and student to the world in general. Experiential learning methodology is highly effective and it takes the learning beyond the classroom. This has introduced the concepts of flipped classroom, where the learning goes to the students and not the other way.